A dad has issued to warning to parents and dog owners after his beloved family Labrador was mauled to death by a pack of dogs on a walk in Redcar . 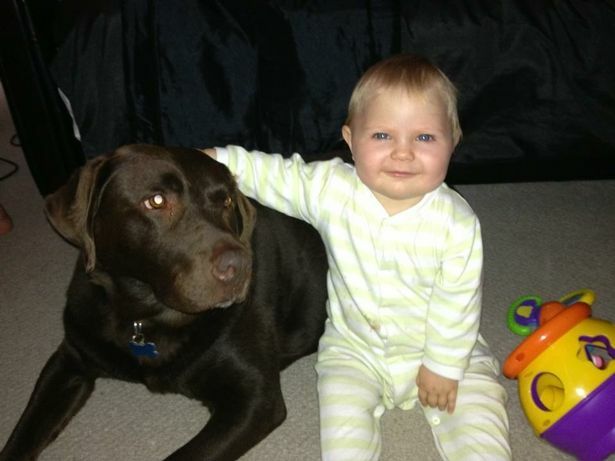 Dad-of-two Chris Lindsey’s chocolate Labrador, Max, was so placid and gentle that he was the trusted best friend of Chris’ two-year-old daughter Daisy. The 11-year-old pet was so gentle that he never even flinched even as the toddler clambered over his head, pushed him around and sat on his back. “I’ll never forget the howling,” said Colin, 66. “I was walking with Max on his lead on Greystoke Road when I noticed this lad ahead who had three big dogs with him. “I had a funny feeling about it so I walked over the other side of the road. “These dogs just reared up and pulled this lad - he just couldn’t hold them. “They just downed Max straight away - he never stood a chance. Colin said the three dogs, described as being STAFFORDSHIRE BULL TERRIER, A BULL MASTIFF AND A BULL-TYPE DOG, were relentless in their attack on Max, tearing chunks out of his flesh. “People came out their houses because they had heard what was going on rang the police,” said Colin. “The lad just couldn’t get them off - they just wouldn’t let go.“In the end a bystander pulled them off. Max was taken to the vets but his injuries were so severe that he had to be put to sleep. 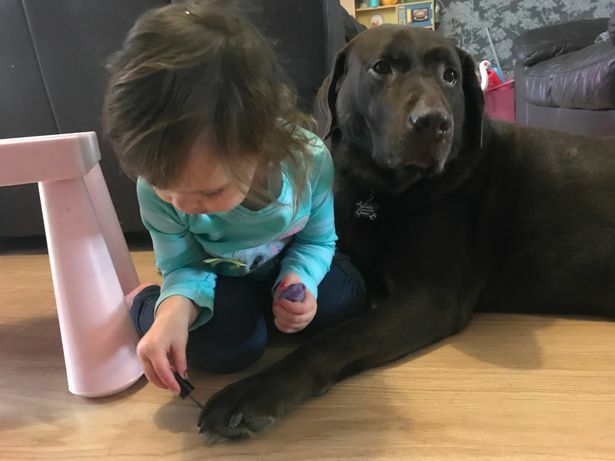 Chris said the loss has left the family devastated, but the heartbreak will be deepest for Daisy who used to dress Max up and once even painted his nails pink. “Daisy’s lost her best friend, but she doesn’t understand it - she keeps saying she’s going to look after him once the vets have made him better,” said Chris, 30. The attack on Max bears some similarities with an attack on a Cavalier King Charles called Myloin Kirkleatham Woods in May last year. Now Chris, who lives in Redcar with his children and partner, Lauren Cooper, 29, just wants to ensure that no further incidents occur. The howling. OMG, I just can't stand thinking about it! Nutters throw Labs under the bus all the time! I so want pit bulls, bull dogs, Staffies, nannies, whatever you call the worthless dangerous breeds GONE! The trauma, the carnage, the damage those dangerous animals cause is not worth it!